The best way to enjoy the beauty and tranquility of Gulangyu island, also known as Drum Wave island, is to get up early and take a stroll along the circling road before hordes of day-trippers arrive. 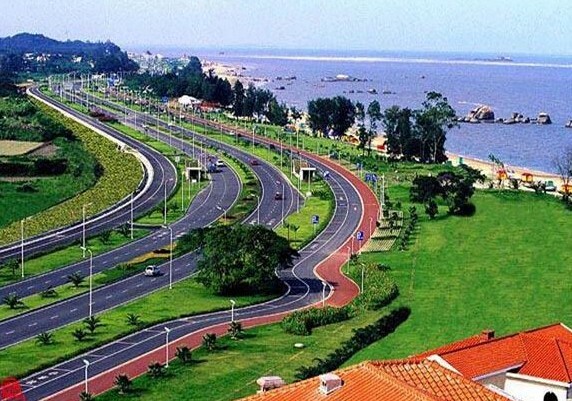 Located 500 meters off the coast of Xiamen in southeastern China's Fujian Province, Gulangyu island got its name from the reefs to the southwest of the island, which when pounded by waves, produce a sound like the beating of a drum. A sleepy and desolate island prior to the First Opium War (1840-1842) and a foreign enclave until the 1940s, Gulangyu island has evolved into a dream destination for travelers, with fresh air, a relaxing lifestyle and balmy and pleasant climate all year round. Motor vehicles are banned on the island and I was surprised to see a noticeable absence of bicycles as well. Only electric vehicles are allowed, commuting between the port and major scenic spots. Wooden handcarts are used to move goods around the island. It is not uncommon to see the likes of bank safes carried by carts with four or five armed guards escorting them. Gulangyu is known as an "Architecture Museum" as it boasts several buildings with an interesting combination of European and Chinese styles. Wandering through the winding streets is a treat, with exquisitely constructed grand villas, churches and consulates all waiting to be discovered. 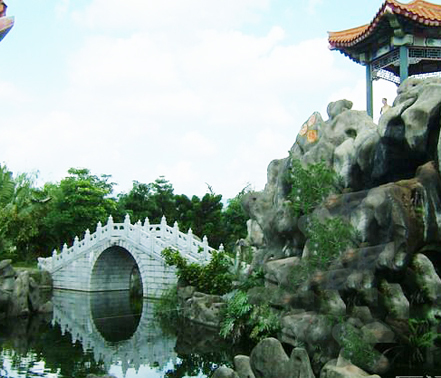 Shuzhuang Garden, built by a wealthy businessman in 1913 as his private villa, is a beautiful spot not to be missed. 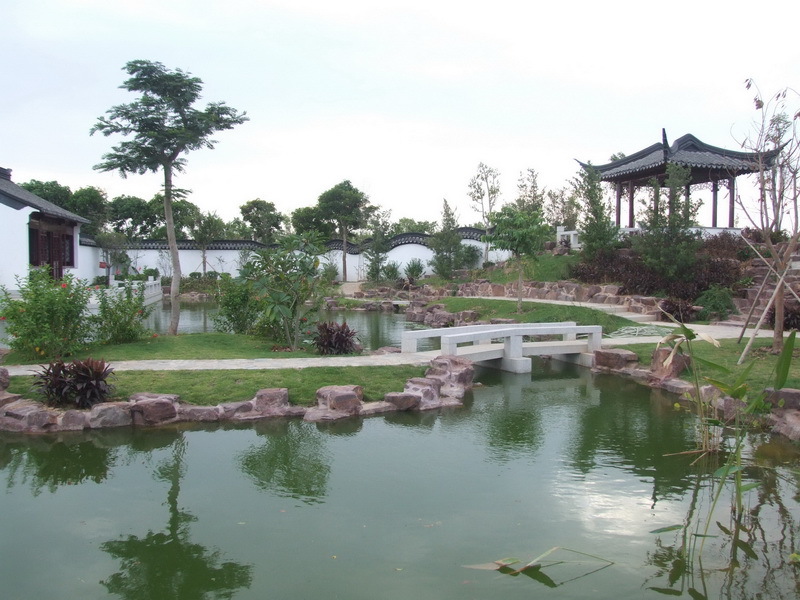 Making the best of the natural landscape, the 20,000 square meter garden is delightful. As you enter the gate and walk past a small bamboo forest, the sea comes into view, presenting a spectacular vision to enjoy. The tide-viewing room, which has lovely French windows, is a perfect place in which you can take some time out to appreciate the beautiful vista. The garden also houses the Forty-Four Bridge. Named such because it was built when the owner was 44 years old, the zigzag bridge stretches all the way to the sea and beneath it, gates divert seawater into the garden. Opened to the public in 1955, the garden also serves as China's only piano museum. More than 40 antique pianos, collected from all corners of the globe, have been donated by Hu Youyi, a musician from Gulangyu. The island's 20,000 permanent residents own an estimated 600 pianos, the most per capita in the world and the popular tourist spot also boasts a highly-regarded piano academy and free musical performances each night. 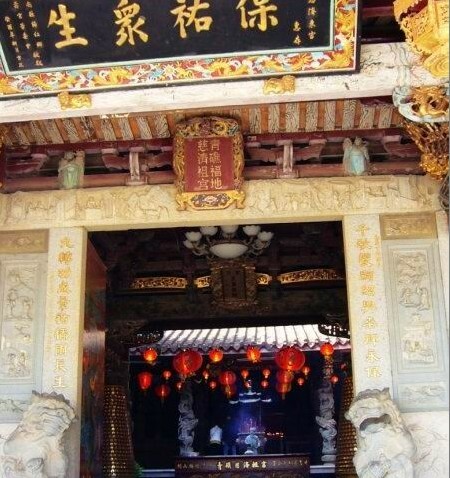 It is not surprising that Gulangyu has produced many famous pianists including Zhou Shu'an, Li Jialu and Gu Shengying. 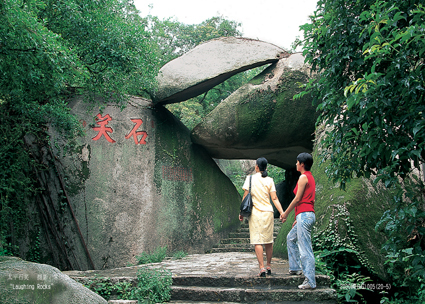 Another stunning site on Gulangyu is Sunlight Rock. 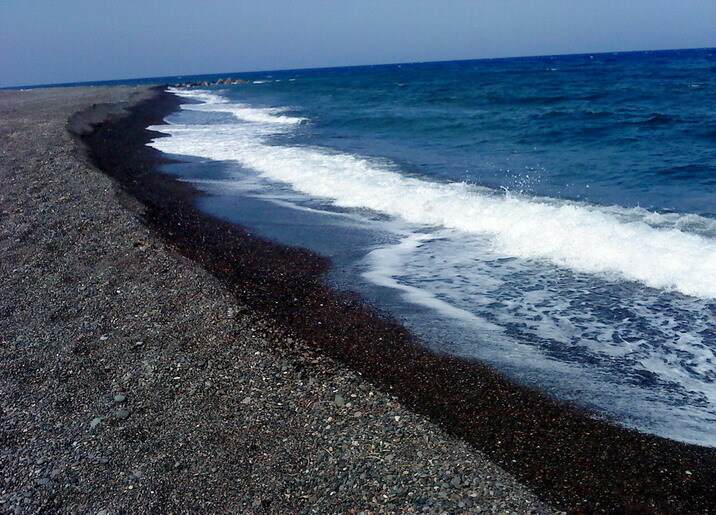 With an altitude of 92.7 meters, it is the highest point on the island. You can take a cable car or climb to the top to enjoy a magnificent panoramic view. 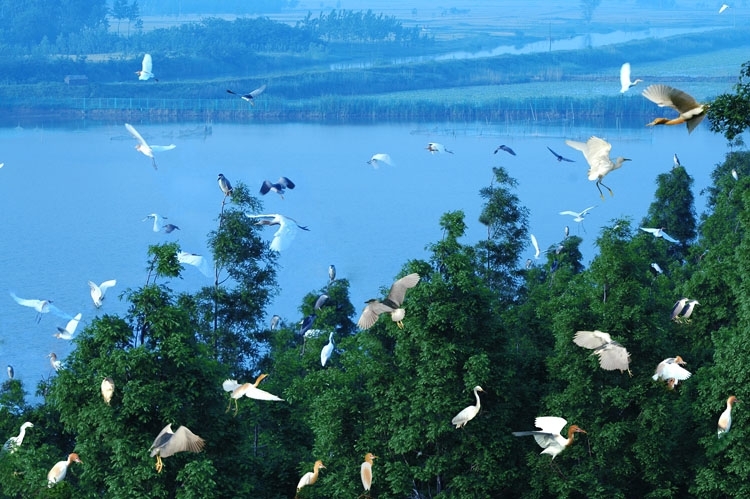 In addition to the beauty of the natural scenery, Gulangyu also enjoys a reputation for its delicious snacks. Xiamen pie, with a history of more than 100 years, is one of the most popular. Wrapped in crispy pastry, the pie has various fillings, such as coconut, pineapple, straw-berry and minced meat. Jinbaoying, literally translated into gold surrounded in silver, is a type of steamed dumpling commonly found in the south. The exterior of the dumpling is made from potato powder, making it sticky and semitransparent. The filling, comprising of bamboo, mushroom, tofu and minced pork, takes on a dark golden color. The 2-yuan ($ 0.29) pie is simply delicious. Another tasty snack is shuijingbao, or crystal steamed stuffed bun. The exterior, made of sticky rice, is transparent, revealing the colorful fillings, such as popcorn kernels, peas and carrot cubes. Seafood is the most popular culinary option on the island. Eating at fancy restaurants can be expensive but you can find relatively cheap options as well, such as buying fresh seafood at the open market and having it cooked at a nearby eatery. It costs around 5 yuan ($ 0.73) to cook one portion. 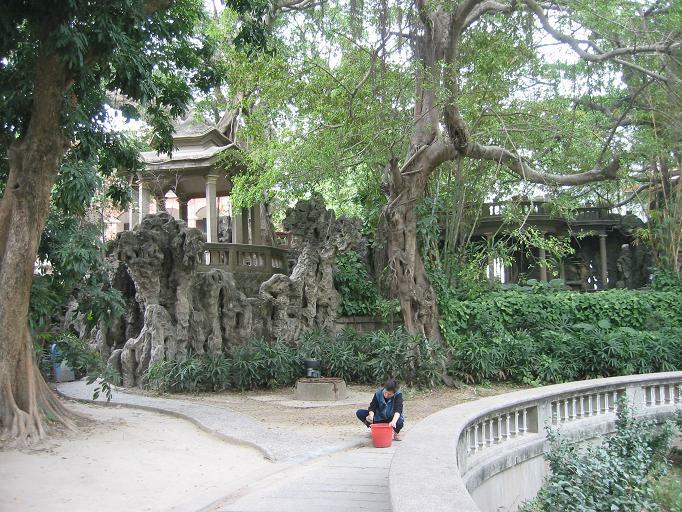 Despite its booming tourism industry, Gulangyu is a fully self-sufficient town. 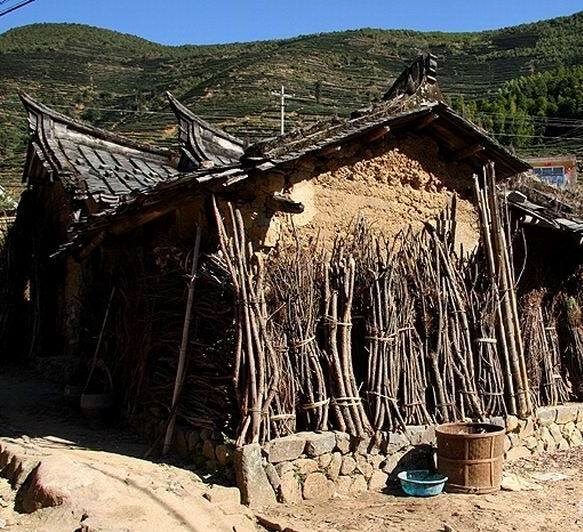 Covering only 1.91 square kilometers, there is a variety of shops selling clothing, food and other daily necessities. The tiny island has 27 nurseries and schools, with some considered the best in the province, it also has a sports square, concert hall and a few museums. How to get there: Taking a boat from the ferry terminal in Xiamen is the cheapest and most con-venient way to get to the island. It takes only five minutes and a round trip costs 8 yuan ($ 1.17). The ferry operates from 5.45am- 00:30am and is free after 10pm. 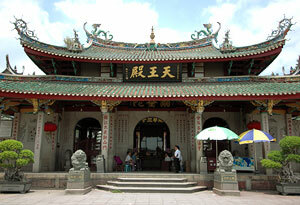 There are buses from the airport, railway station and throughout Xiamen city that can take you directly to the ferry. Where to stay: Gulangyu boasts a number of hotels with varying room rates. Luxury establishments include the Naya and Nana hotels. The Bay View Inn, providing rooms with different facilities at various rates, has a cozy and relaxing atmosphere. Gulangyu International Hostel has beds starting at 40 yuan ($ 5.80). What to eat: Gulangyu, like Xiamen, is a haven for snacks and various local delicacies. Highly recommended is the seafood and steamed or fried buns with assorted fillings. Xiamen pie and peanut soup are also not to be missed. What to buy: Dried seafood, dried meat and Xiamen pie make popular choices to take home. Accessories made of seashells and exotic and colorful trinkets are also nice souvenirs. 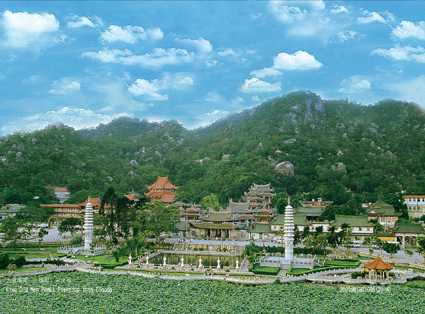 On a budget: A ticket for admission to five major tourist attractions on Gulangyu, including Shuzhuang Garden and Sunlight Rock, costs 80 yuan ($ 11.72) when bought on arrival. Cheaper tickets can be found online at taobao.com. 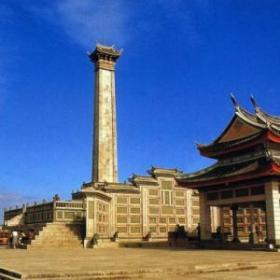 We offer cheap flights to Xiamen and cheap hotels in Xiamen, build your trip with us and save money.